Are you ready for this Newcastle? Climb Parc, best decribed as climbing wall meets theme park is exclusive to you! 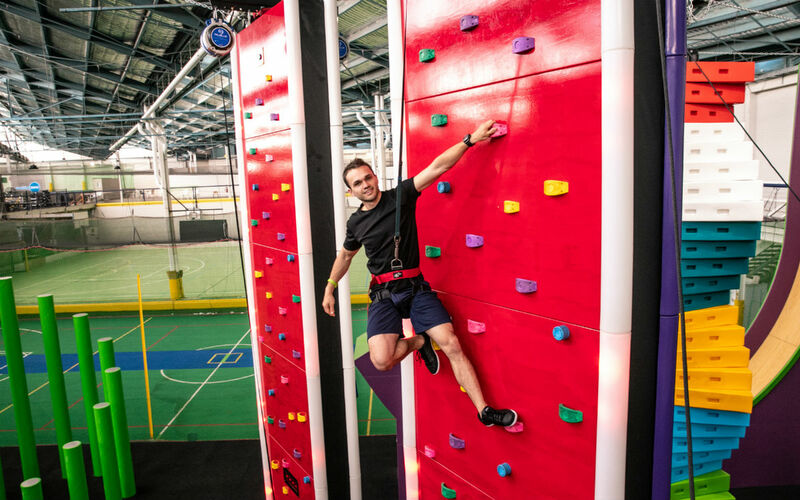 Separate to Ninja Parc, Climb Parc is not only an exciting activity, our 19 climbing walls of varying difficulty are a great way to strengthen the mind and body. Climb Parc is suitable for children (aged six years and above) and adults, making it a great activity to be enjoyed individually, in groups, or as a family. While Climb Parc is all about having fun through movement, safety remains a key priority. Ensuring this, each climb wall has its own safety harness system and our highly trained Parc Rangers patrol the area. Ready to experience Climb Parc? Try a casual session or book one of our group packages. Our dedicated team of staff are on-hand to assist in catering for functions and parties, with bookings essential. For further information on group packages, click here or phone: 02 4926 4488. To book your play at the Climb Parc, select from one of the below options.